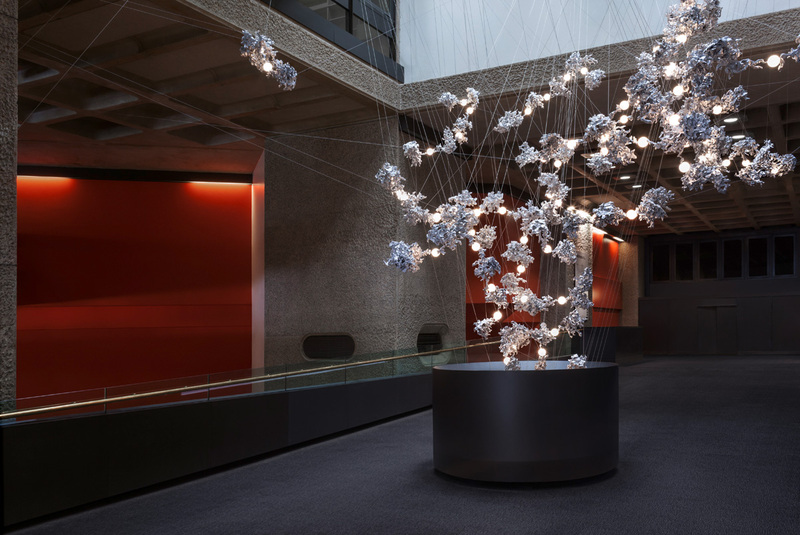 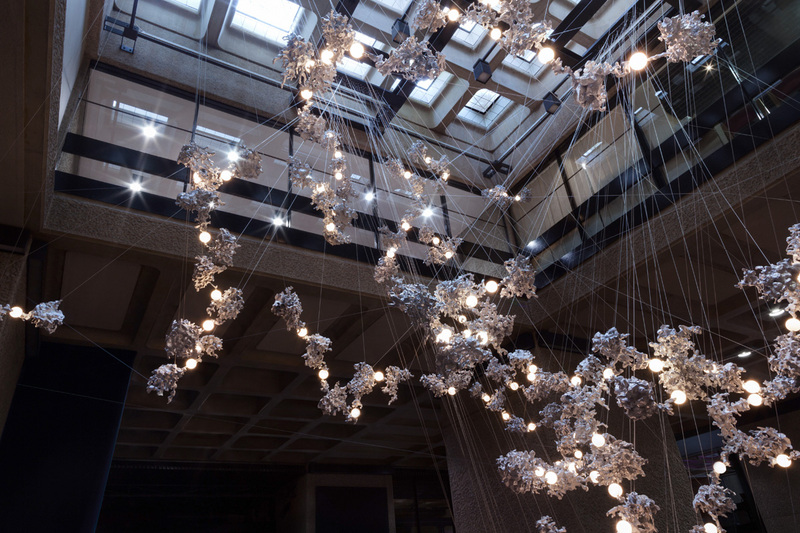 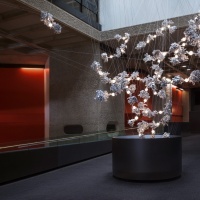 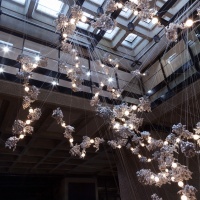 The latest site-specific light installation for the Barbican’s Lightwell space has been created by Omer Arbel, the creative director of the Vancouver and Berlin-based design and manufacturing company, Bocci. 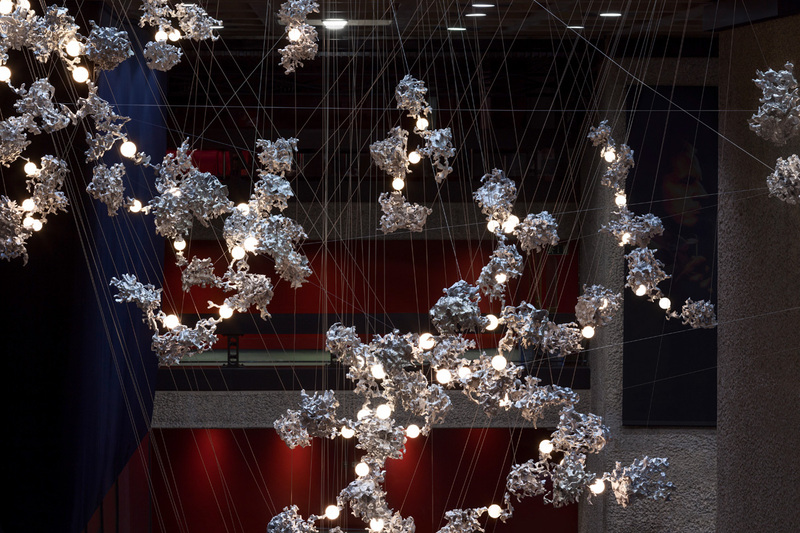 Over 300 ‘free-poured’ aluminium forms hang in the space, with lights appearing to float between them. 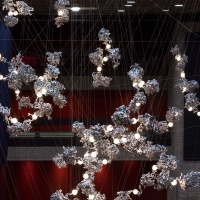 The lightbulbs are in fact magnetically suspended between the metallic structures, say the Barbican, while a low voltage current runs through the entire work (check out the film of the installation, below).